You're not finished once the system is turned on. Do these five things to ensure the long-term success of your lighting controls system. Some lighting control systems use one method of transmission and one protocol for control signals to light fixtures, and a different method of transmission or protocol for communicating with peripheral devices such as sensors and switches. It is not uncommon for both to run on a low-voltage network. However, except in certain situations (for example, when using DALI-compliant sensors and switches), these networks must be separated. It’s important to clarify this and provide clear documentation showing what goes on each network. Some lighting control systems use centralized panels to contain equipment such as fixture controllers, power supplies for low-voltage networks, hubs for peripheral networks, phase-loss sensors for emergency lighting or other devices or equipment. Typically, the configuration of equipment in these panels is customized based on the project-specific conditions. Therefore, it’s essential that the control system vendor provides drawings showing all wiring connections that must be made in the field, to every single component, by the installing contractor. The commissioning process often takes a small percentage of the overall installation time. However, the successful operation of the system (and subsequent energy savings) depends on appropriate commissioning and programming to achieve the goals of the owner and designer. A lighting control system cannot be effectively commissioned and programmed unless the project team has determined appropriate zoning for fixtures and devices, as well as clear and concise written control profiles. (How does the system behave and when?) Simply accepting a vendor’s proposed default control profiles may not achieve the project goals. Most lighting control systems are designed to work with a “standalone” topology or, alternately, for the components to be connected via an owner’s existing building network. Determining what topology will be used may have an enormous impact on the required control system components, installation cost and complexity, potential risks to security, and other factors. Therefore, it’s essential to address these issues during the design phase. There are also new methods and standards to help mitigate the potential risk of systems allowing “open” access. 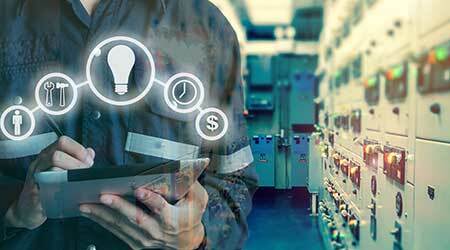 For example, UL has a new certification — UL 2900 — that specifically addresses the issue of the potential for a system (such as a lighting control system) to be hacked. It is important to discuss these issues during the design phase. Determining who (and how) the lighting control system will operate on a normal on-going basis may affect the choice of a system or the software to operate it. There may also be other requirements, such as remote “dashboard” displays, regular reporting, etc. These may all have an effect on the selection of an appropriate lighting control system. By definition, any system is “complex.” However, vendors have worked very hard in recent years to make significantly more “simplified” lighting control systems that are designed to walk you through the installation and commissioning process. Some of these are simple enough that almost anyone could install and commission them with no prior training at all. But beware of the potential pitfalls described above. Remember that you can always enlist the help of someone who has previously uncovered these problems on other projects and can anticipate them on your project. That may be a particularly experienced vendor or an independent consultant. There isn’t a single problem that has ever occurred on a lighting controls installation project that couldn’t have been anticipated with some advance consideration. The benefits of using new advanced lighting control systems are substantial — so go out and give them a try, knowing how easy it is to avoid potential pitfalls. Steve Mesh (steve@stevemesh.com) is one of the main developers of the CALCTP (California Advanced Lighting Controls Training Program, launched in 2009) and has also developed classes on lighting control systems for DesignLights Consortium. He has also worked on many lighting control system installations over the past 10 years, including as a consultant to Lawrence Berkeley National Labs for a project called “Living Lab” (2013-2016).